Citizens of Dutton Dunwich oppose a wind power project–under the Green Energy Act, their concerns had no weight. A new bill doesn’t seem to change that. In a presentation before the Standing Committee on Social Policy, Wind Concerns Ontario described the wide range of problems caused for all of Ontario, and especially rural and small-town communities, by the Green Energy Act. Bill 34, which aims to change aspects of the Green Energy Act, is at the committee stage, before receiving final approval by the Legislature. Presenting for the coalition of community group members and individuals and family members of Wind Concerns Ontario was executive vice-president Warren Howard, a former bank executive and municipal councilor. He reviewed the problems with wind turbine noise and disturbed water wells; the removal of local land-use planning for municipalities; and the fact that municipalities are now being called upon by residents for help with these negative impacts of the wind power projects, but that they are helpless to do much. In some cases, he said, municipalities tried to take action to protect the health of their residents, but were met by threats of expensive legal action by wind power developers. The rules for the approval and operation of wind power projects are not based on solid science, Howard said, and are today, out of line with rules in other jurisdictions. Wind Concerns Ontario obtained documents showing thousands of official records of complaints of excessive noise and vibration from wind turbines, he said, but the response rate from the former Ministry of the Environment and Climate Change was poor. 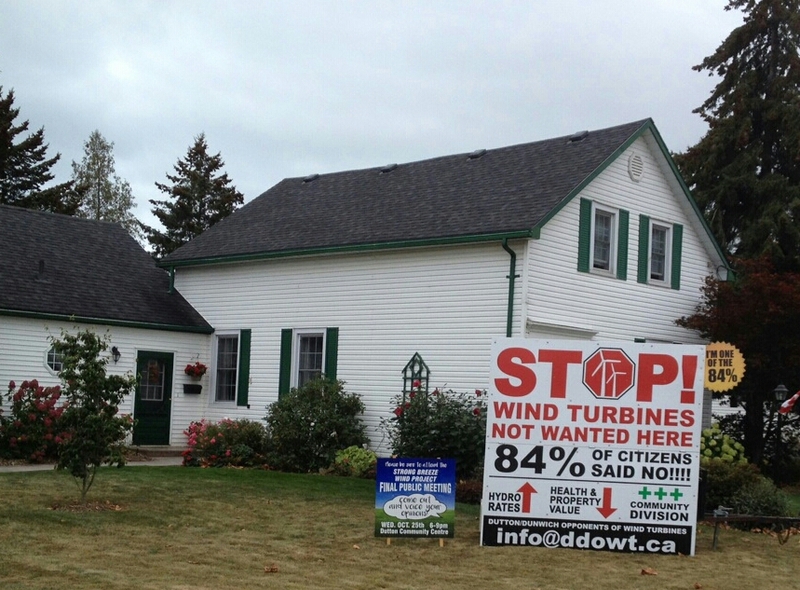 In more than a few cases, people across Ontario have abandoned their homes because of the impact of wind turbine noise emissions. Even though the Ministry’s Spills Action Line operates on a 24 hour-7 day per week basis and had the capability to respond on an emergency basis to other environment issues, the only response to wind turbine complaints was to advise the District Office who would respond in a day or so. There is no evidence of action being taken on requests by frustrated residents that turbines be turned off so that they could sleep. The new Bill does not go far enough in making the necessary changes required to repair the damage done to Ontario by the Green Energy Act, Howard explained to the committee. There is no change, for example, in the role of municipalities to approve wind power projects, and there seems to be no provision for enforcement of existing noise regulations, which need to be improved. Wind Concerns called for retraction of the Chief Medical Officer of Health statement published in 2010, denying that health issues are linked to wind turbine noise. The document is incomplete and outdated, yet it is being relied on as the foundation for environment ministry response. Wind Concerns also called for regulation 359/09 be rewritten and action be taken to address the 4,562 complaints about wind turbine problems. The official submission to the Standing Committee on Social Policy is here: Social Policy Committee October 30 FINAL. Existing wind turbines must be turned off immediately due to documented and on going health harm. The entry of January 26, 2016 documents previous health harm in Huron County Ontario. Huron County Health Unit initiated an investigation but the turbines keep running. The most recent entry, October 19, 2018 refers to “Cardiac instability caused by infrasound radiation from industrial wind turbines”. On October 28, 2018 I wrote to Christine Elliot, Minister of Health and Long Term Care to request an urgent face to face meeting to address this issue. There was some talk a while ago in this group about Liberal insiders rushing into wind farm deals. When pressed 1 name was given. A couple of Warren Howard’s achievements were outlined in this article. He is also a Conservative Party insider. Does it matter? Other than providing context I don’t think so. Allegations made and so far unproven. If laws were broken then, as I have stated in the past, arrest and send to trial those who appear to have broken the law. If found guilty jail them.